What Is Your Bowling Adjustment When You Leave The 3-6-10 Spare? Written on: Wednesday, August 09, 2017. How Do You Monitor Your Bowling Tempo? Written on: Friday, July 07, 2017. Written on: Monday, May 29, 2017. Written on: Saturday, May 27, 2017. Written on: Tuesday, May 23, 2017. Which Are Your Best Three Bowling Adjustments To Match Lane Conditions? Written on: Friday, May 12, 2017. Written on: Wednesday, May 03, 2017. Where Do You Align Initially To Hit The Bowling Pocket? Written on: Thursday, April 27, 2017. How Do You Align For The Pocket? Written on: Friday, April 14, 2017. Written on: Friday, March 31, 2017. Written on: Thursday, March 30, 2017. How Can The World's Best Bowling Coach Be Of Use To Your Game? Written on: Friday, March 24, 2017. Written on: Thursday, March 16, 2017. How Important Are Consistent Bowling League Lane Conditions? Written on: Friday, March 10, 2017. Written on: Friday, March 03, 2017.
Who Would You Choose As Your Ideal Bowling Teammates? Written on: Wednesday, February 22, 2017. How Important Is Maintaining Your Bowling Ball Surfaces To Your Game? Written on: Monday, January 09, 2017. What Is Your Opinion Of The USBC? Written on: Saturday, December 17, 2016. Written on: Sunday, December 11, 2016. What Is Your Opinion About Bowling Lessons And Coaching? Written on: Monday, December 05, 2016. Written on: Wednesday, October 26, 2016. Written on: Tuesday, October 11, 2016. How Can New Bowlers Be Attracted To The Game? Written on: Friday, October 07, 2016. What Are Your Bowling Swing Thoughts? Written on: Tuesday, September 27, 2016. 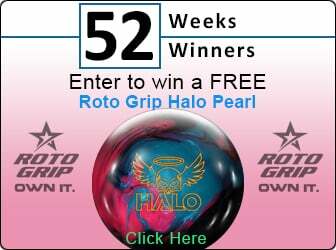 How Often Do You Maintain Your Bowling Ball Surfaces? Written on: Monday, September 05, 2016. How Do You Keep Good Bowling Timing? Written on: Friday, August 26, 2016. Written on: Monday, August 01, 2016. What Is The One Area Where Your Local Pro Shops Can Improve? Written on: Saturday, July 23, 2016. What Is Your Bowling Ambition? Written on: Wednesday, July 20, 2016. Written on: Thursday, June 02, 2016. Do You Prefer Working With A Bowling Instructor Or Coaching Yourself? Written on: Wednesday, May 25, 2016. Did You Practice Bowling More Or Less In The Last Year? Written on: Thursday, May 19, 2016. What Bowling Practice Method Do You Prefer? Written on: Saturday, April 30, 2016. Written on: Wednesday, April 20, 2016. Written on: Tuesday, April 19, 2016. Written on: Friday, April 08, 2016. Written on: Friday, April 01, 2016. Written on: Thursday, March 24, 2016. Written on: Friday, March 18, 2016. What Is The Single Most Important Key To Your Bowling Game? Written on: Tuesday, March 08, 2016. What Are Keys To Your Mental Game? Written on: Wednesday, February 10, 2016. What Improvements Would You Like To See Bowling Centers Make? Written on: Saturday, January 23, 2016. Written on: Sunday, January 10, 2016. Written on: Saturday, December 19, 2015. Why Do We Watch The PBA Tour Telecasts? Written on: Wednesday, November 04, 2015. Where Are Key Pressure Points When I Grip My Bowling Ball? Written on: Wednesday, October 28, 2015. Do You Prefer Bowling On Heavy, Medium, Or Dry Lane Conditions? Written on: Tuesday, October 20, 2015. Written on: Tuesday, October 06, 2015. Which Is Your Best Bowling Spare Shooting System? Written on: Wednesday, September 30, 2015. Written on: Monday, September 28, 2015. Written on: Tuesday, September 15, 2015. Written on: Monday, September 14, 2015. What Do You Find Most Difficult In Adjusting To Bowling Lane Conditions? Written on: Thursday, September 03, 2015. Written on: Monday, August 31, 2015. What Are Three Tips You Would Give To A New Bowler? Written on: Sunday, August 30, 2015. Betting on Bowling - Is it A Good Idea? What Do You Enjoy Most About Bowling? Written on: Thursday, July 30, 2015. What Do You Like Or Dislike Most About Bowling? Written on: Wednesday, July 01, 2015. Is Bowling An Easy Or Difficult Sport? Written on: Monday, June 29, 2015. Which Pro Shop Products Help Beginner Bowlers? Written on: Thursday, June 11, 2015. Written on: Thursday, June 04, 2015. Written on: Friday, May 22, 2015. Written on: Thursday, May 21, 2015. Written on: Monday, May 11, 2015. Written on: Friday, March 27, 2015. Where On The Lane Does My Bowling Ball Hook? Written on: Thursday, March 26, 2015. Written on: Tuesday, March 17, 2015. What Will the New PWBA Tour Look Like? Written on: Saturday, March 14, 2015. Written on: Monday, March 09, 2015. Written on: Wednesday, February 25, 2015. Written on: Tuesday, February 24, 2015. Written on: Monday, February 23, 2015. What Makes A Bowler A Highly Skilled Player? Written on: Thursday, February 19, 2015. How Should My Bowling Ball React? Written on: Saturday, January 10, 2015. How Good Is My Bowling Game? Written on: Monday, January 05, 2015. Written on: Tuesday, November 25, 2014. Is Bowling Your Favorite Sport? Written on: Tuesday, November 04, 2014. Written on: Friday, October 03, 2014. Written on: Monday, July 07, 2014. Written on: Tuesday, May 06, 2014. What Do You Like Most About Bowling Leagues? Written on: Monday, February 03, 2014. Written on: Wednesday, September 04, 2013. Written on: Sunday, September 01, 2013. Written on: Wednesday, April 11, 2012. Written on: Monday, April 02, 2012. Written on: Friday, March 02, 2012. Written on: Thursday, March 01, 2012. Written on: Wednesday, February 01, 2012. Written on: Saturday, January 07, 2012. Written on: Tuesday, January 03, 2012. Written on: Tuesday, November 01, 2011. Written on: Thursday, September 01, 2011. Written on: Tuesday, August 23, 2011. Written on: Monday, July 25, 2011. Written on: Tuesday, July 19, 2011. Written on: Tuesday, May 17, 2011. Written on: Thursday, May 12, 2011. Written on: Tuesday, May 03, 2011. Written on: Friday, April 15, 2011. Written on: Monday, April 11, 2011. Should Bowling Become An Olympic Sport? Are Today’s Bowling Scores Too High? Written on: Wednesday, March 23, 2011. Written on: Tuesday, February 22, 2011. Do You Prefer Easy Or Challenging Bowling Lane Conditions? Written on: Tuesday, January 12, 2010. Which Are Your Three Best Bowling Adjustments When Playing The Lanes? Written on: Tuesday, December 04, 2007. Why Do Bowling Lane Conditions Vary? Written on: Monday, October 03, 2005. What Is The Best Bowling Tip You Ever Received? Written on: Tuesday, August 03, 2004.